Mid-size sedans take us back to the years when cars had a simplistic design and gave out as much as you put into them. The Cressida is your average sedan with a practical chassis that doesn’t draw attention to itself. This is the successor to the Avalon, and it’s easy to catch a glimpse of it in the basic design structure of the Avalon; we are talking about a box-like body and light chassis. 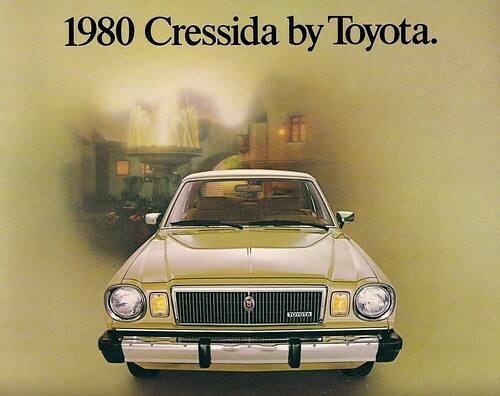 Additionally, the Cressida features bright alloy wheels and the iconic “T” logo on its front grille. Reliability and performance may not always go hand in hand, but the Cressida is able to strike a balance thanks to its 3.0 liter straight six engine which delivers a horsepower of 190 at 6000 rpm and 185 pounds per foot of torque at 4,400 rpm. This, for a not-so-new model, is surprisingly impressive. Gas mileage on the Toyota Cressida is also a joy, with figures peaking at 23 mpg. This means that you get more mileage out of your Cressida when compared to current SUV and sport models that guzzle gas like it’s going out of style. Over the years, technological advances have made the safety of drivers and passengers a priority. However, the trusty Cressida comes with basic features such as an anti-theft system and power door locks, which comes in handy when traveling with children. The Cressida is minimalistic in its design, probably due to the fact that it is a car meant for one thing – driving, which is something that has been overshadowed in today’s car arena, given the bells and whistles contained in most automobiles. It features leather seating, power driver’s seat, cruise control and power steering. Additional trims include a power moonroof, 4-wheel ABS, power front passenger seat, and an AM/FM cassette and CD audio system. The Cressida is smooth and responsive, and can easily chalk up a mileage of 200,000 miles without needing major care. The breaking system is great, and allows for abrupt stops in the event of a near-emergency. The rear-wheel drive delivers a stable driving experience, and body roll is minimal due to the low-lying chassis, which evens out its center of gravity, promoting stability. Additionally, the acceleration is surprisingly good, despite the fact that this is a 3400 pound car. The Cressida has a current sticker price of $1552, but can go higher in case you decide to include extras such as the moonroof and power front passenger’s and driver’s seats. This is a one-time luxury sedan that can compete with current models due to its stunning reliability, fuel economy and unmatched handling. The Toyota Cressida is a car with a soul that you will want to keep even when you get a newer model, given the fact that it always delivers top performance on all levels. Toyota sure is a classic from its interior to the wheel covers! You cant go wrong with a Toyota!